Leeds: Casilla, Ayling, Jansson, Cooper, Alioski, Forshaw, Klich, Roberts (Bamford 63), Harrison (Douglas 45), Hernandez (Clarke 45), Roofe. Subs not used: Peacock-Farrell, Phillips, Shackleton, Gotts. Norwich: Krul, Godfrey, Zimmermann, Vrancic, Lewis, Buendia (McLean 85), Stiepermann, Trybull (Tettey 84), Pukki (Rhodes 87), Hernandez, Aarons. Subs not used: McGovern, Hanley, Srbeny, Cantwell. 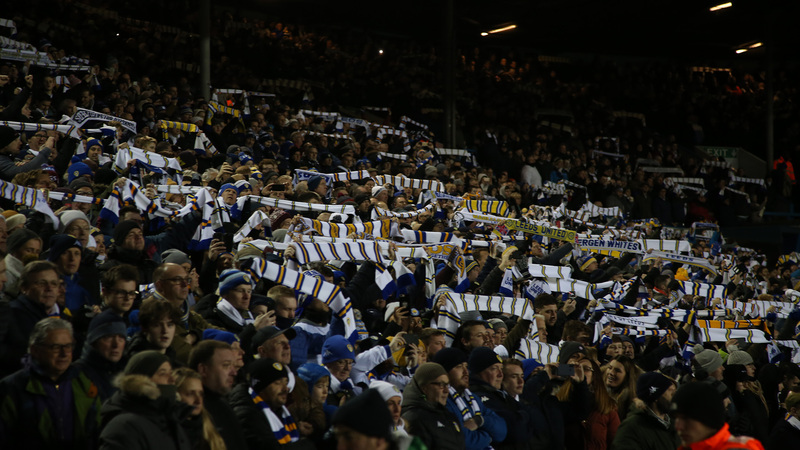 Leeds United suffered a 3-1 defeat at Elland Road against Norwich City, with the Canaries leapfrogging the Whites into top spot in the Sky Bet Championship. The Whites made a bright start to the game, first Mateusz Klich fired off target, before Jack Harrison forced Tim Krul into a good save. It was the Canaries who took the lead though inside five minutes from a free-kick. Mario Vrancic's strike deflected off the Leeds wall and found the top corner. Leeds looked to hit back and Tyler Roberts forced Krul into another decent stop with a curling effort from the edge of the box. Onel Hernandez struck a volley over for the visitors, before a Harrison cross was met by an Alioski volley, but he fired wide. Adam Forshaw and Klich then fired wide as the Whites pushed to level the scores. Pontus Jansson had a good chance when he was found with an Alioski free-kick, but he couldn't get the better of Krul. Tyler Roberts was then played in on goal, he lifted the ball over the out-coming Norwich goalkeeper before being clattered. His shot went wide, but Leeds were awarded a free-kick on the edge of the box, with Krul booked. From the set-piece, Pablo Hernandez hit the wall before Klich fired a powerful rebound just over. Roofe put a header wide from a Klich cross, but again, against the run of play, Norwich went further ahead. A series of errors led to Vrancic firing on goal, his strike deflected off Jansson and straight into the path of Teemu Pukki who was left with a tap in. Roofe then broke into the Norwich area before forcing Krul into action, before Emiliano Buendia fired over when well placed in the Leeds box. Roberts saw a penalty appeal turned down, before Leeds saw a Luke Ayling strike ruled out on the stroke of half time for a foul on Krul in the build up. 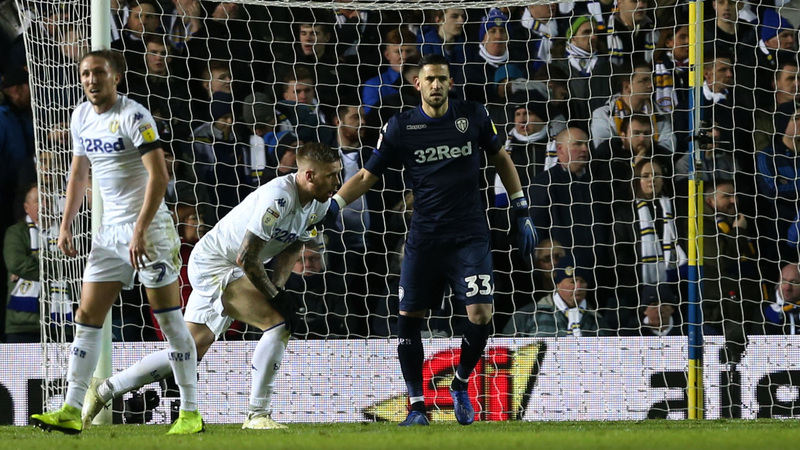 Marcelo Bielsa two changes at the break, with Jack Clarke and Barry Douglas replacing Harrison and Hernandez as the Whites looked to overturn the two goal deficit. Douglas saw a free-kick test Krul, before Alioski also forced the Norwich stopper into action. Aarons then won possession in the Leeds box after the Whites failed to clear, but he blazed wide in a good position. Clarke then put a really good low cross in from the right, but Krul made a vital interception with Roofe lurking. Norwich sealed the win 12 minutes from time, Pukki's ball fell to Vrancic and he converted from close range. Hernandez almost made it four for the visitors when he stole possession, but he fired wide. Ayling headed wide at a Leeds corner, before Patrick Bamford, returning from injury, hit the bar with a deflected strike after being teed up by Roofe. From the resulting corner, Bamford did pull Leeds a consolation goal back, but it still proved to be a disappointing day for the Whites.